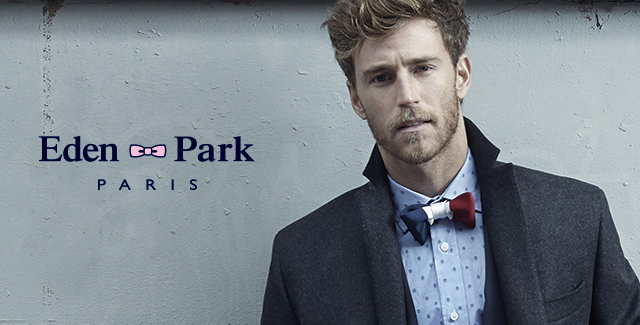 With 30 years of success under its belt, French lifestyle label Eden Park shows no signs of slowing down. Commitment to perfection remains one of the label’s core characteristics, delivering unconventional style and a great attention to detail. In terms of the a/w 17 collections, prints remain at the fore, including stripes and checks, with the brand’s icon – the pink bow tie – used across exclusive fabrics. Sweaters, meanwhile, are the main feature this season, with the range comprising a mix of polo-neck, v-neck, cardigans, and knits. The colours of the season are typically autumnal, with khaki standing as the dominating shade against brown and navy, alongside the sporadic use of camouflage. This Aw17 video campaign of Eden Park has been filmed in Paris around special places for the brand and as well for the Parisian citizens. The reason why it is because the brand is trying to express in all the communication campaigns his compromise and unique #Frenchflair or #FrenchStyle. Eden Park was presenting SS17 at PittiUomo 90.